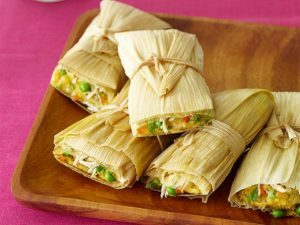 While tamales are one of Mexico’s most famous street foods, they are also one of its most popular party foods, which is fitting since a tamal is packaged like a small gift waiting to be unwrapped. 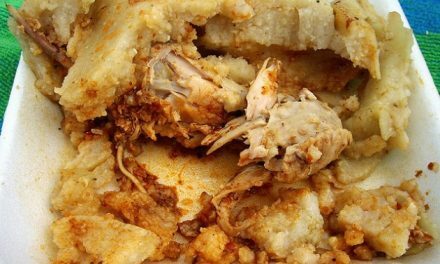 The many steps involved in tamal making have discouraged countless cooks. But they should not, because the process is very easy. 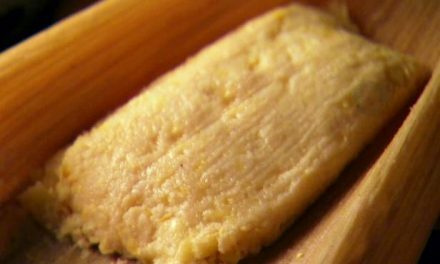 And if you gather a few friends to help with the assembling, you can have a tamal-making party before the real party begins. While the husks soak, stir together the chicken, cheese, cilantro, peas, olives and salsa in a bowl. Add the cornmeal mix and stir until combined. Remove 2 corn husks from the water. Tear into 12 thin strips for tying up the tamales; set aside. Unfold a soaked husk, wide-end up, on a work surface. Starting at the top edge, spoon 2/3 cup filling down the center and mold into a 4-by-2-inch rectangle, leaving room at the bottom for folding. Roll up the tamale jelly roll-style to enclose the filling. Fold up the bottom end of the husk and tie with one of the strips of husk. Repeat with the remaining husks, filling and ties. Add 1 inch of water to a deep pot with a tight-fitting lid; place a steamer basket in the pot. Arrange the tamales upright (closed-end down) in the basket. 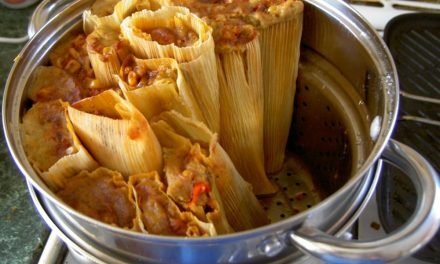 Bring the water to a boil over medium-high heat; cover and steam the tamales for 25 minutes, adding more water as needed. 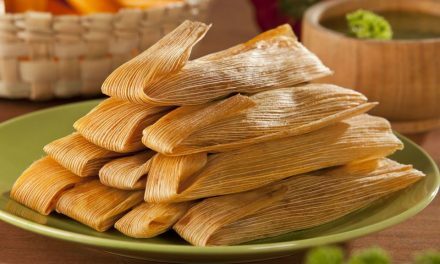 Carefully remove the tamales from the steamer and let stand for 5 minutes. Transfer to a platter; untie and open the husks, then garnish the tamales with chopped fresh cilantro.